Top quality construction and substantial value are a tradition at Ronning Companies, where every aspect of the housing industry from sales of lots to leasing commercial space and apartments to building custom designed homes is handled with professional skill and attention to detail. Through the operation of its Sioux Falls-based companies - Ronning Enterprises, Ronning Homes and Neighborhoods, Home Supply Company, Ronning Property Management, Ronning Properties and Ronning Construction - Ronning Companies has brought satisfaction and pride to thousands of Sioux Falls residents. 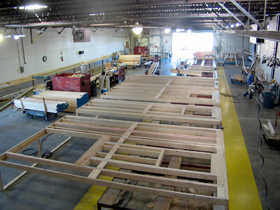 The roots of Ronning Companies started back in the 1880's, when Thomas C. Marson came to the United States from Wales, bringing with him a group of skilled craftsmen. With the help of his fellow immigrants, Marson quarried the rock quartzite deposits east of Sioux Falls and used the material to build many of the city's most prominent quartzite buildings, some of which are still standing. 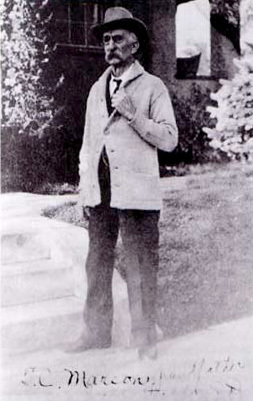 Sioux Falls' first building inspector, Marson is also credited with building historic landmarks such as the Old Maine Building of All Saints School, Sioux Falls Children's Home, the South Dakota School for the Deaf, the Bishop O'Gorman House, and many homes in the Cathedral area. The name "Ronning" was first used when D.Wayne Ronning, husband of Marson's great-granddaughter, Harriet, founded Ronning Enterprises in 1956. The new company's purpose was to build affordable, single-family houses for first-time buyers and included the development of entire subdivisions of single-family residences. This ambitious plan helped make the dream of homeownership a reality for many. With continuous home building and residential neighborhood development from 1956, Ronning Enterprises ultimately created Ronning Homes and Neighborhoods - a division that specializes in developing and building upscale housing. Today, as one of the area's oldest and most respected home builders and residential land developers, Ronning Companies is still a 100 percent family-owned business, and the founder's son Slate Ronning is at the helm as president and CEO. As of 2006 - Ronning's 50th Anniversary - more than 50 neighborhoods in South Dakota had been built. The company's extensive experience, steadfast commitment to quality, and dedicated service after each sale have resulted in high customer satisfaction and a high rate of repeat business. 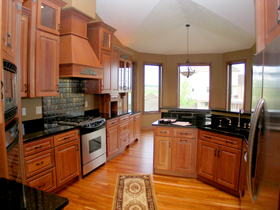 Ronning Homes and Neighborhoods is Sioux Falls' and South Dakota's largest homebuilder and land developer. 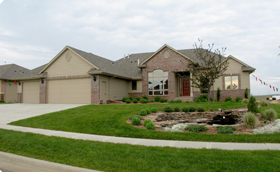 Ronning began building homes in 1956 and has been building homes in the Sioux Falls area continuously since that time. As one of the areas oldest and certainly most stable homebuilder and land developer, Ronning offers customers the security of a "well known", "respected" homebuilder. 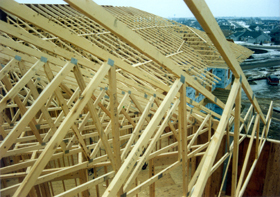 first firms in the area to build engineered roof and floor trusses, wall panels and other components off site in the controlled environment of a manufacturing plant. 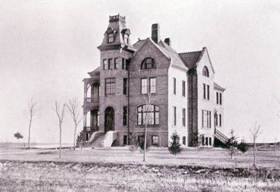 It was also one of the first to have a design and drafting department using computer-aided design. Home Supply Company has supplied design services, building components, and building materials for thousands of houses, apartments and commercial projects and continues as a leader in providing the residential building industry with high quality materials at competitive prices. By the 1970s Ronning Companies had again expanded to include Ronning Properties and Ronning Property Management to operate Ronning-built and -owned rental properties, including hundreds of apartment units and furnished guest suites for temporary lodging. For guest suites, there is a minimum stay of one month, all utilities are paid, and maid service is available. 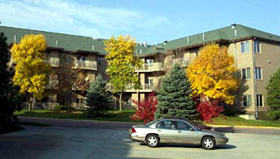 Ronning Property Management provides professional management for all Ronning-owned apartments, townhomes, and commercial properties located throughout the greater Sioux Falls area. Half of Ronning's apartments are luxury units with heated underground parking, central air conditioning, high ceilings, fireplaces, spacious baths, and whirlpool spas, at great locations with great views. In the 1990s Slate Ronning established Ronning Construction to expand and diversify the company into building and managing apartments, offices and retail centers throughout Sioux Falls. Slate Ronning has upheld the Ronning tradition of providing housing to people from all cultures and with varying backgrounds and needs. The company still purchases land, builds homes, and sells lots, in addition to providing commercial services for apartment buildings, offices and retail centers. As of mid 2006, Ronning Companies owns more than 400 undeveloped acres and 250 developed lots in Sioux Falls, and has plans for future neighborhood acquisitions. Nearly every weekend there are between 15 and 25 Ronning custom-built model homes for sale, which are shown through open-house events staffed by knowledgeable, experienced Ronning associates. The company's commitment to maintaining a competitive position in the marketplace means home buyers can find good value. Ronning Companies considers that its success is rooted in the professionalism and expertise of its employees, past and present, who are instructed to "do it right" for the customer. This customer-first culture has resulted in high employee satisfaction and low employee turnover. The average Ronning employee has been with the company from 20 to as many as 40 years. Ronning Companies also takes pride in the excellent contracting partners it hires for projects - many of whom have worked with the company for decades. The longevity of these partnerships is a testament to the high standards Ronning maintains. Slate Ronning will continue leading Ronning Companies in the 21st century with the same high quality standards that have brought increased value and satisfaction to the company's customers, employees, and contracting partners for more than 60 years. The Sioux Falls Community will continue to benefit from the Ronning Companies legacy of excellence and dedication to superior quality housing, office and retail space.